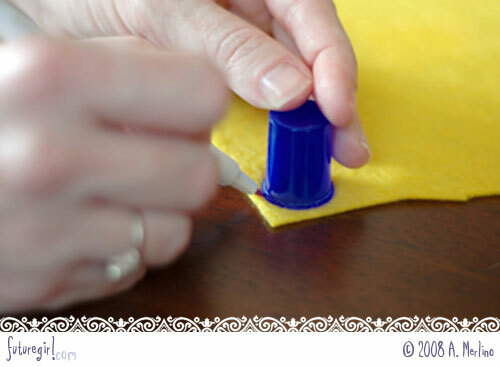 This tutorial was originally posted on Whip Up August 2007. Now that everything's blooming, I thought it was a perfect time to post it here, too. 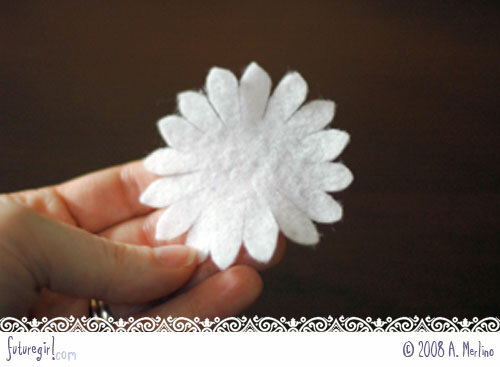 Here's a quick way to make cute daisies from felt. 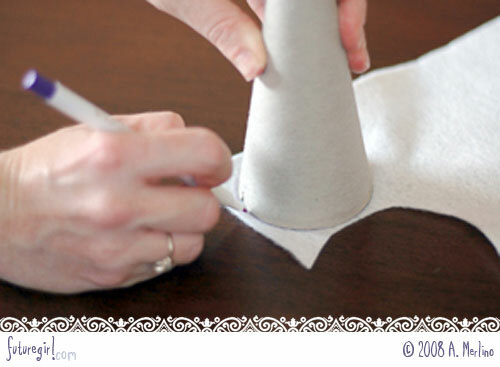 Trace your big round thing on the white felt. I used the cone that came with a pound of yarn. 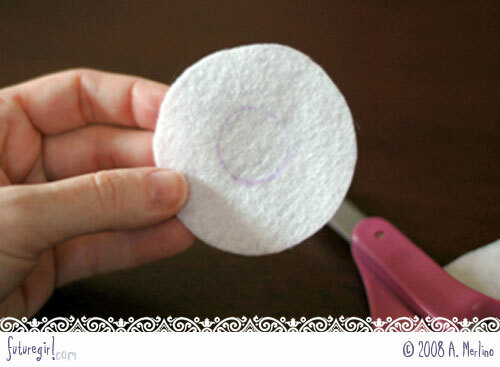 I used a purple disappearing ink marker to trace the circle. 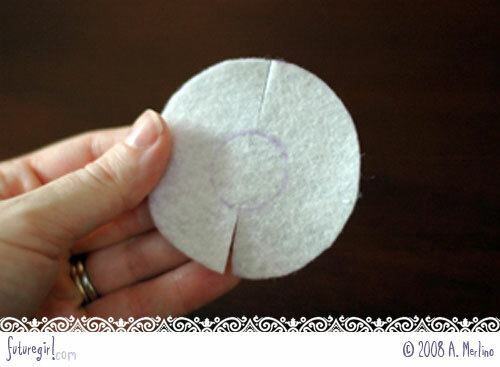 Cut out around the large circle. 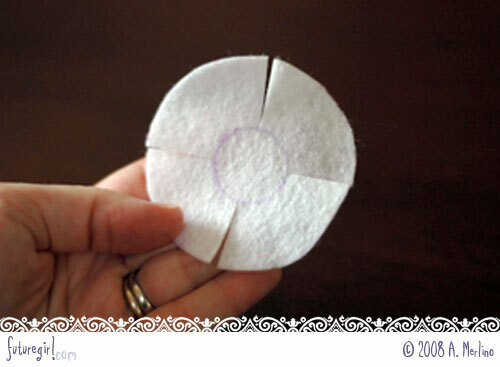 Cut from the edge towards the center on the top and bottom side of the circle. Only cut up to the center circle line for these and all the rest of the cuts. Cut from the edge towards the center on the left and right. Cut between each of the four cuts. You now have eight cuts. Cut between each of the eight cuts. You now have 16 cuts. 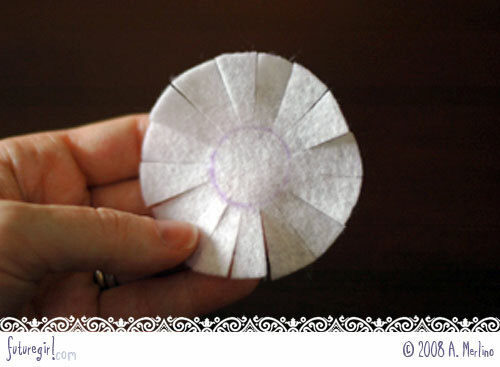 I used my cuticle scissors to cut the curve at the top of each petal. 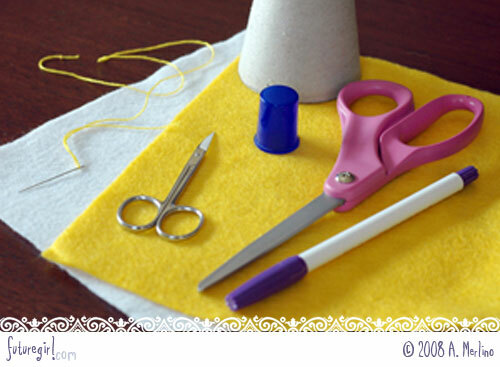 I have a pair of manicure scissors just for crafting. 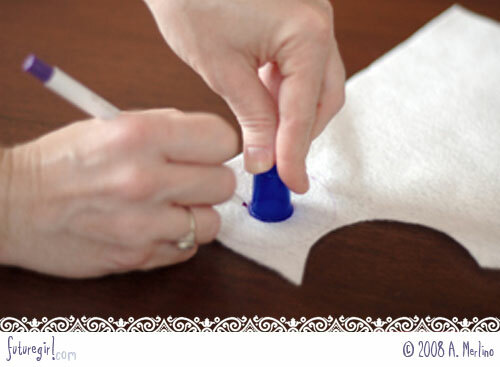 They are great for cutting small details in felt. Especially in this case, since the blades are curved. 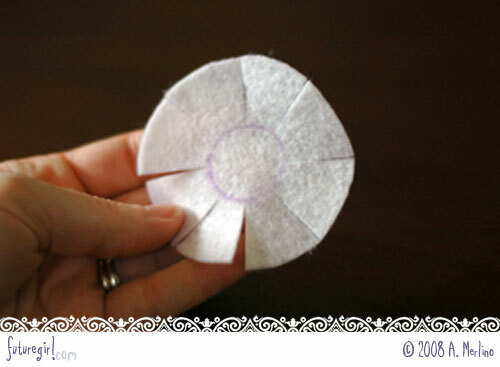 After I go around the circle cutting the right edge of the petals, I flip the daisy over and cut the other side of the petal. 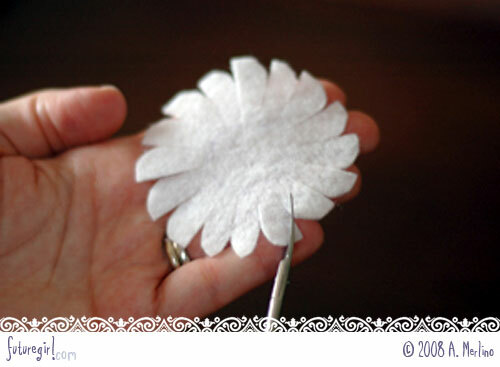 This is what your daisy will look like after all the petals are cut. 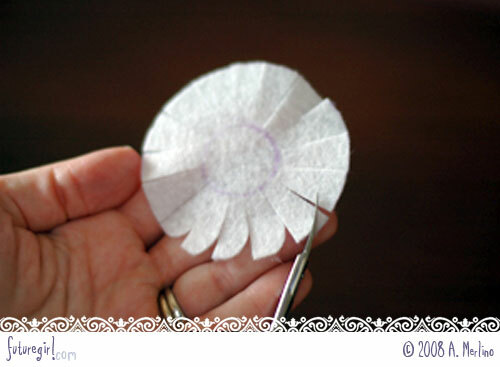 To make the daisy center, trace your small circle on the yellow felt and cut it out. 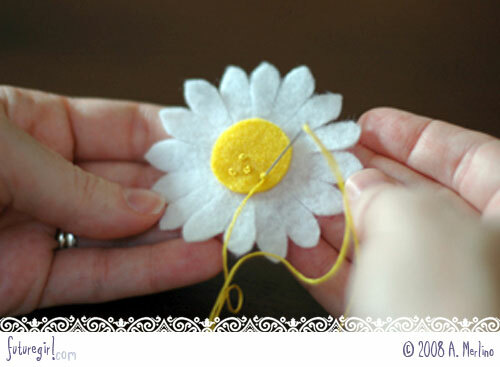 Attach the yellow circle to the daisy petals with French knots. 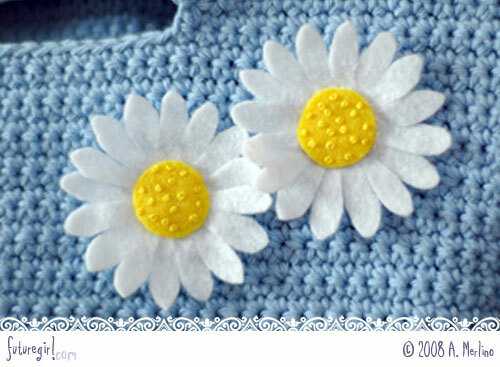 Now your daisy is ready to be attached anywhere you'd like. I’m put mine on a blue crochet handbag.